Use the custom logo input feature to easily upload awesome logos just with the click of a button and without the need of changing the code. Feature all the latest posts as well as finest work on your website’s homepage. The theme creators have included awesome features which will give the website a different and unique feel from the traditional blogs present there. Next to your logo and on the right side, you can place a small little tagline which will give more emphasis to what you blog exactly is about. With the neat and clear social sharing options, users can include Like, Tweet or Share for every post that the users publish. Now the incoming reviews, store performance, statistics, stock levels, and sales can be kept an eye on. To allow users to evaluate shipping costs per item, declare flat rate for all the items or products, offer free shipping, the in-built comprehensive shipping settings are available which is provided by WooCommerce. With the help of the table rate shipping extension option, you can expand these options to define different weight brackets, and different shipping rates charged in various countries. Those who feel comfortable in publishing and writing posts, for them this WooCommerce product management feature will be very helpful in publishing posts, adding products, and so on. Adding one’s own payment gateway can be a waste of time because WooCommerce is here to support a wide variety of most popular payment gateway options for the users which are Play and Plug types. This WordPress theme provides updated the new slider which has numerous options. The users are allowed to choose type of content with which they want to display their portfolio posts, blogs, and products. For example, product display will show name as well as description of their product in slider. The product page slider is a new feature where users can include many images and the slider will appear automatically. At the top right portion of the screen, you can include a drag down shopping cart option. The product pricing will appear on the list page so as to provide a great and neat looking website. The purchase button area is a brilliant feature offered by this theme and which requires no coding to work with. The users can use separate page templates for separate pages which is a remarkable feature offered by this theme. The page templates included with this theme by default are blog, full width, and archives. You can add new page templates like links, etc. which have new functionalities and allow you to add more functions to your website or blog. The users can also customize these page templates in the way they want. The menu management feature offered by this theme will help the users to manage their blog menus in a much efficient and simple way. This feature also allows them to include custom links, pages, and categories in their blog menu. Some in-built menu structures like tree, etc. are already given so users can choose any of them. The users can use TimThumb and manage the themes by using the theme image resizing option available. So, now you will not have to spend time resizing your images or pictures. Page reloading often becomes a problem; hence this problem is solved by this Ajax comments feature solves the problem of reloading. When visitors will submit their comments related to your blog, page reloading will not occur. This means that watching video and commenting can be done at the same time. Now, maintaining your website branding with the support of logo uploader which will allow users to include multiple logos which can be stored and used latter. Managing and uploading favicons to your website will help your website to easily get recognized in the visitor’s browser tabs. Don’t miss even a single hit by simple input of the Google Analytics code. The themes can readily be translated into any language so that you can enjoy working with the theme in your own comfortable language. The fonts control feature will allow you to select between Google fonts and standard fonts which are offered in 36 different options. Choose your own desired font colour and font size using the clear slide controller option. Select typography for widgets, post titles, Meta data, and copy. The typography manager is constantly going to be updated with all new fonts whenever they are added to the Google font list. Now, make your in-house galleries and there is no need to venture with any supporting websites. This is because you can create slideshow on the website which will improve traffic and your fans will not have to visit other website for viewing your images. If the users modify their theme, they can reset dimensions of their gallery collection. Moving around galleries with easy drag drop action will now be very convenient. Here, you neither have to change creation dates nor use any non-friendly methods. Manage all Ad spaces present on the website and get money back on the theme instantaneously with OCMX management tool option. There are two advert block size options available which you can choose according to your website’s requirement and they are 300×250 and 125×125. Insertion of 3rd party advert scripts for example Buysellads and Google Adsense will be very easy with this option provided by the theme. OCMX provides the option of determining homepage layouts to users with upto 3 different settings which include dynamic and powerful widgetized settings. You can select the unique standard theme layout which was originally conceptualized and designed. Convert the theme to a business oriented website using the simple and efficient click of the button. Completely control the homepage using OCMX widgets and determine the look and feel along with functionalities of the website landing page. You will find simple to use and light weighted SEO related features provided by OCMX which will ensure you high search engine ranking possibly by targeting keywords. Easy understanding and simple modifications are possible along with quick testing as well as editing. With this feature you connect as well as interact with your visitors and readers easily. You can also keep a record of who is saying what and to whom. The number of levels can be set and accordingly the conversation takes place. The users can also customize these page templates in the way they want. The page templates included with this theme by default are blog, full width, portfolio page, and archives. You can add new page templates like links, etc. which have new functionalities and allow you to add more functions to your website or blog. Finding something will not be a lengthy and time taking procedure from now onwards because custom search page option will help your visitors find everything using the easily customizable search page template option. This can be customised for latest posts and recent comments improvement. 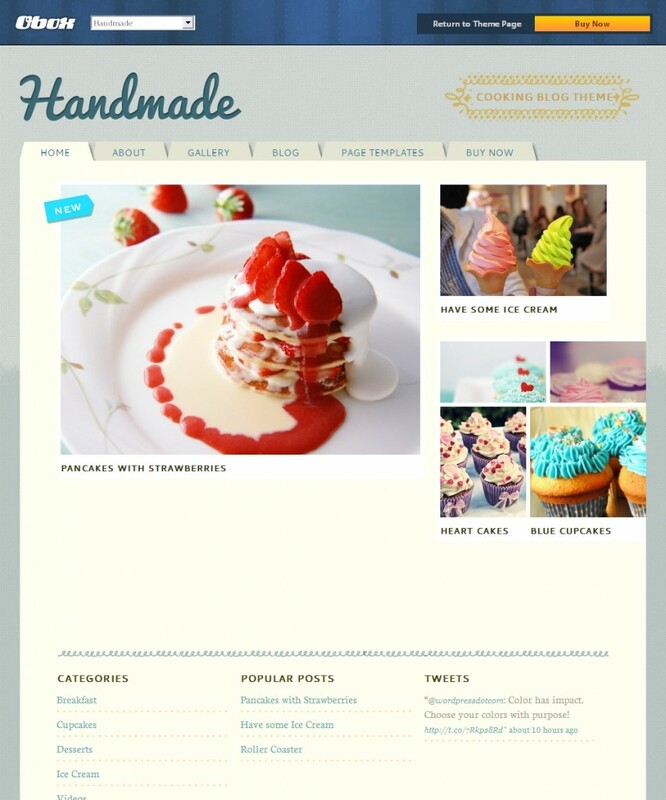 The theme is packed with clear homepage featured slider which will showcase products and posts. Maintain full control on the menu using the support of WordPress 3.0 menu option. Include in-post featured gallery scrollers to show latest galleries with featured gallery widgets and social linking like retweet, like, dig, share, recommend, etc. for each post. With all major browsers used across the globe like internet explorer, Mozilla Firefox, Opera, Chrome, etc, this theme is fully compatible. The theme is filled with rich features having great functionalities. The SEO related features are commendable and help to increase traffic to your website as well as search engine ranking. The cost of the theme is quiet reasonable when compared to the number of features which it provides. The major drawback which the theme is affected with is its low loading speed especially when data and images are large in number.